My goals have been to replace as many toxic cleaning products as I can in my house with natural / non toxic options. You may think that dishwasher tabs are not very toxic and this might be true but they are still depositing chemicals onto your plates and other eating utensils, which you will ingest. 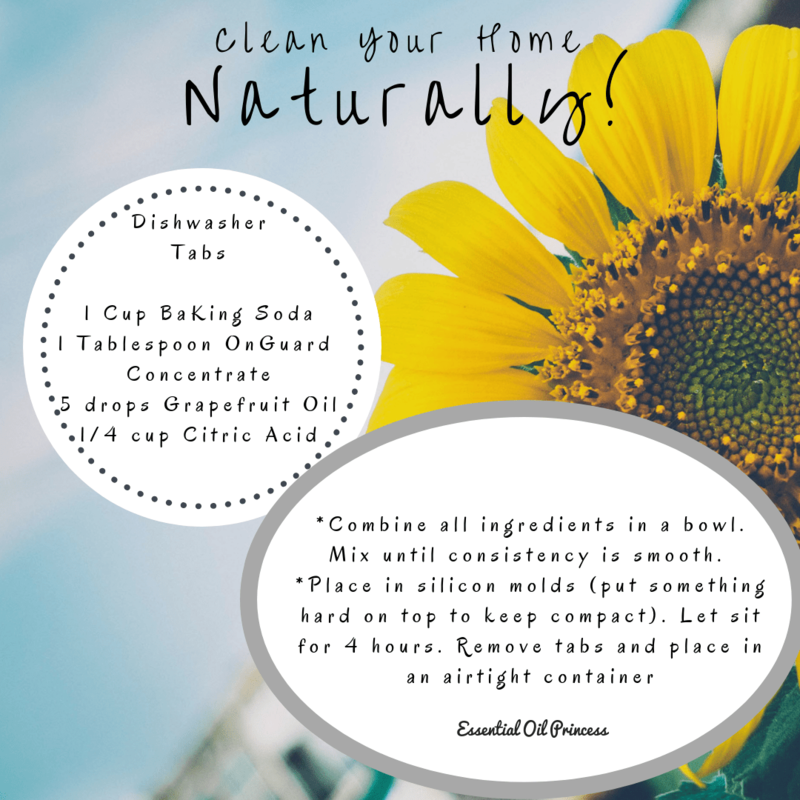 You can easily make your own non toxic dishwasher tabs using baking soda, citric acid and essential oils! When you make this recipe, the ingredients will expand so when you place them in the silicon molds, make sure you place something heavy on top of the mold so that it prevents the ingredients from expanding.